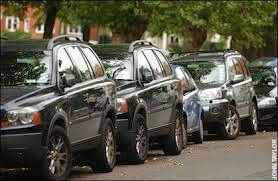 When you drive the backstreets of London, or most English towns for that matter, one issue that stands out is how the roads are lined with a never ending sea of parked cars. Finding somewhere to park your own car would seem to be a major challenge in its own right. 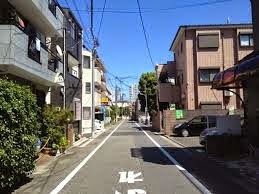 So how come the streets of Tokyo are so clean and clear? There isn't a single car deposited by the pavement overnight. The issue in Japan is that you have to have a police certificate proving you have off-road parking before you can even buy a car. Parking on-road is not allowed (short term drop off being an exception) and so if your house doesn't have a garage or drive way you're forced to lease a permanent lot where your car can be parked. And a relatively large contingent of usually old and retired men patrolling the streets will come around and check. And at $700 a time for each infringement, it really is worth playing ball. And if you do leave your car on the road and later find a kanji message chalked on the asphalt next to it, consider yourself lucky. The message says you're soon about to be towed if you don't move it. And if you find a kanji message chalked where your car should be, you were just a little to slow to read the first message.